InterMarine, Inc., is one of South Florida’s largest and most established boat dealers. In business since 1994, the award winning boat dealer has recently announced a series of important changes that the company has undergone in their 20th year of operation. When we talk about boats and Florida, there’s one boat dealer that has proved to be here to stay: InterMarine, Inc. Started by two passionate boat aficionados, InterMarine saw its inception in 1994 with the aim of providing the best quality boats and to become a pioneer among the boating and yachting community of Florida. The renowned boat company, well into its 20th year, has grown to three locations and is a certified dealer of Bayliner Boats, Everglades Center Consoles, Chaparral Boats, Four Winns Boats, Jeanneau Powerboats, and Prestige Luxury Yachts. The beginning of 2016 saw the company make exciting and important changes to its business, which not only shows their commitment to the boating and yachting community but also demonstrates how the company has grown over the years. The rebranding efforts by the established boat dealer includes the opening of a beautiful 16,000-sq-ft showroom and service center in the heart of Fort Lauderdale last year. The state-of-the-art building includes parts and services departments, administrative offices, indoor and outdoor sales areas, covered service bays, and rack storage. To provide a better service to their customers and to reach out to international clients as well, InterMarine has also launched a brand new website. Existing and potential customers can get a virtual look at the boats and yachts for sale along with scheduling service and ordering parts. As a leader of the boating and yachting community, the company recently released their Escapades calendar for 2016. This calendar features all the events which are relevant to the existing customers of InterMarine including boat shows, open house workshops, and adventurous boating trips to different destinations. 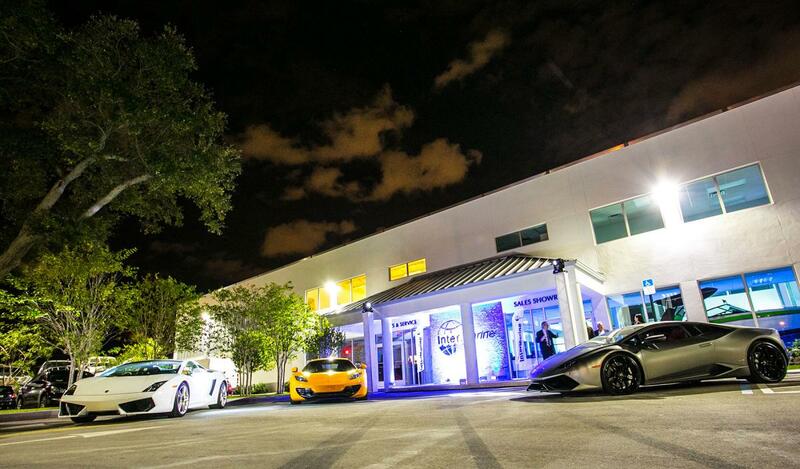 InterMarine celebrated all of these accomplishments on January 30th, 2016 with an upscale reception carried out in their new Fort Lauderdale sales and service center. The event was attended by long-time business partners, loyal customers, manufacturer representatives, and InterMarine staff. The year 2016 marks important milestones for InterMarine. With an inspiring history and a passion that’s shared by thousands, the company has continuously proved to be a leader of the boating community through their dedication and perseverance.